It is indeed a matter of great pride for Chandorkar that a Ganv Bhav has become the editor of the popular English daily Herald. This is the first time 1983 when the paper turned into an English daily. The new Editor is Alexandre Moniz Barbosa son of Sebastiao and Otilia Moniz Barbosa from Anthoi Guirdolim. 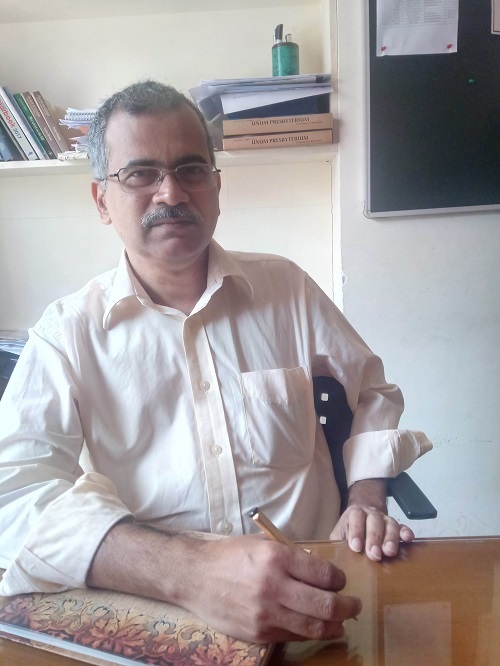 Alexandre became a journalist in 1990 and was the Assistant Editor the magazine Goa Today till he joined Herald in November 2014. He is married to Joan da Costa and has a daughter named Nicole.